Freyr Energy, a full service solar provider launches Freyr SunPro in Bangalore, which is a revolutionary ‘India first’ mobile application that will help customers run their rooftop solar businesses with ease. Freyr SunPro, which runs on both iOS and Android devices, uses complex algorithms and data analytics to streamline the entire process of fulfilling a customer’s solar requirements. With Freyr Sunpro, a solar or electrical background is not needed anymore to start their business. The training time to use the SunPro is less than 1 hour. The initial investment required to start a rooftop solar business is zero. Any individual can easily download the application from Play Store and App Store. The system created using SunPro is custom designed for each customer’s individual needs. Automated site survey and system design show eliminates errors during the sales process as well as procurement and installation. The app’s all encompassing platform is equivalent to a 5-person team (Design engineer, pricing specialist, customer management, supply chain and project management) supporting you 24x7, 365 days to help close orders. The app reduces the sales cycle for users to 1-2 meetings with the customer. SunPro works both offline and online and gives detailed pricing recommendations. The user can start the business without having to hire any additional staff. This ensures that the business is profitable from Year 1 itself. If several people in the organization is using the tool, the performance of employees can also be automatically monitored and assessed. After the order is closed, Freyr Energy will work on the material supply and installation so the user can focus on closing more orders. 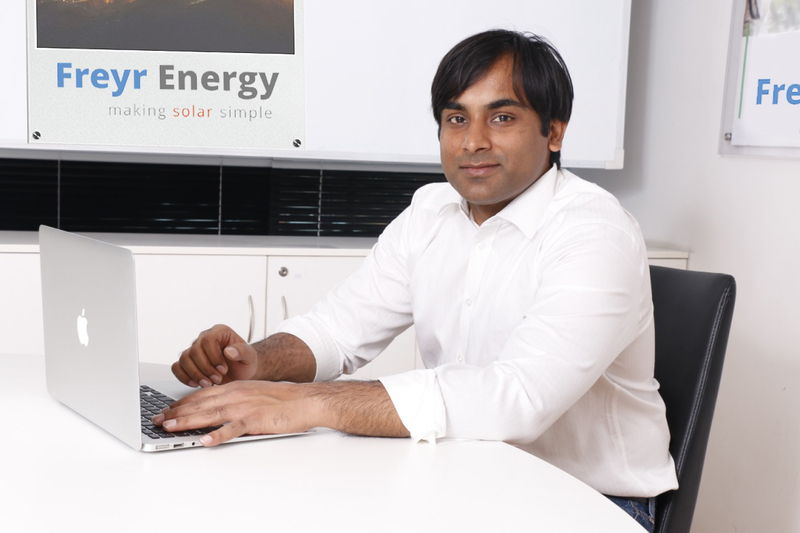 With the help of SunPro, several of Freyr Energy’s channel partners are generating business of 1 crore annually.